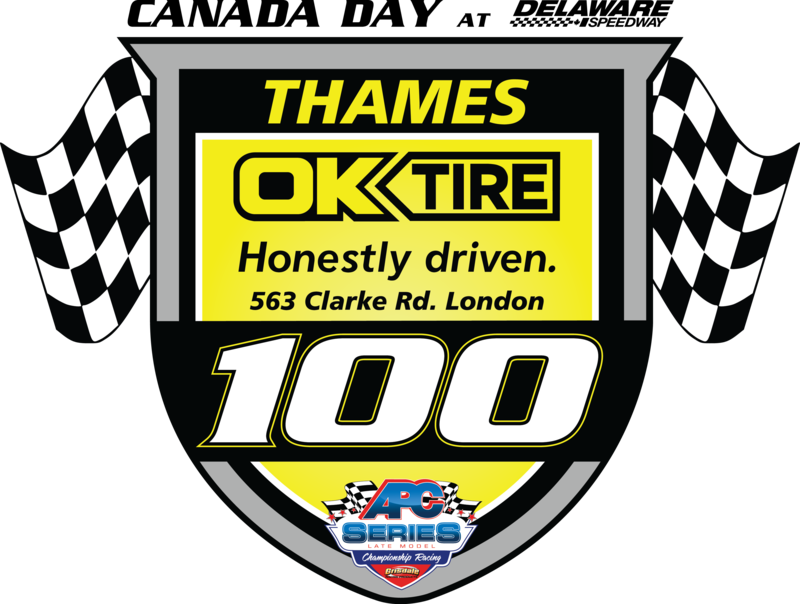 The APC Series would like to welcome Thames OK Tire as the official event sponsor for the first Delaware speedway race, July 1st 2016. This race will also mark the celebration of Canada’s 149th birthday! With this event being round 4 of the schedule it is sure to be an intense battle around the largest speedway the tour will race at. Thames OK Tire located in London ON at 563 Clarke Road is a small store that sells big! With years of experience, Thames OK Tire provides premium automotive services and products, such as a complete line of quality tires. For years, they have had the latest products and unprecedented services for everything they do! For information on all products and services provided or to make an appointment be sure to visit Thames OK Tire’s website at http://www.thamesoktire.com/ or give them a call at 519-453-5300. The APC series and Thames OK Tire look forward to a fantastic event day on July 1st and to wish Canada a very happy birthday with a spectacular show of Late Model racing and fireworks after the race!